Cincinnati, Ohio, May 7, 2013 – Milacron LLC, a global plastics industry leader with the widest range of plastics processing equipment, technologies and services in the world has hired Mark Dixon as Vice President of Global Supply Chain and Sourcing.With the hiring of Dixon, a leader with more than 20 years of experience, Milacron is creating a VP-level supply chain and sourcing position to align the company’s diverse sourcing teams into an integrated strategic supply chain and sourcing organization. 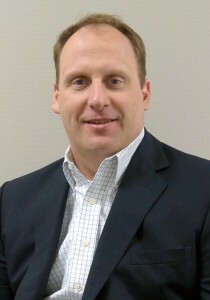 In this new position, Dixon’s goal will be to further strengthen Milacron’s competitive position by enhancing the company’s ability to equip customers with the industry’s most advanced technologies, high quality products, and improved lead-times, as efficiently and cost effectively as possible. Dixon will be located at the company’s Afton, Ohio manufacturing facility and will report directly to Milacron CEO Tom Goeke.According to Goeke, Dixon brings significant operational management experience to the company and can leverage the competencies and relationships that exist across Milacron’s five strategic businesses – Milacron Plastics Machinery, Mold-Masters, DME, Milacron Aftermarket and CIMCOOL. “As the company continues to grow, it is increasingly important for us to establish and solidify relationships with supply chain partners around the world who can help us increase the value we’re committed to bringing to our customers,” Goeke said.Dixon has held multiple senior management positions at world-leading manufacturing corporations that have primed him to make a big impact at Milacron. He has consistently delivered sustained value to global operations teams and incorporated best-in-class global supply chain practices across the companies he has served. Dixon began his career at Ford Motor Company UK, where he served as an engineer on diesel engine design and became a leading expert in the design of plastic and rubber engine components. Dixon ultimately advanced to run applications engineering for one of the largest operating divisions of Dana Holdings. Before leaving Dana, Dixon served as corporate senior global commodity manager responsible for production materials. Prior to joining Milacron, Dixon was responsible for global strategic sourcing and supply chain at Cooper Industries.